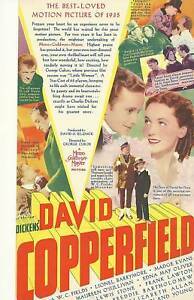 Details about DAVID COPPERFIELD(1935)W.C. FIELDS ORIGINAL HERALD!!! DAVID COPPERFIELD(1935)W.C. FIELDS ORIGINAL HERALD!! !